Click here to see how they’re made. 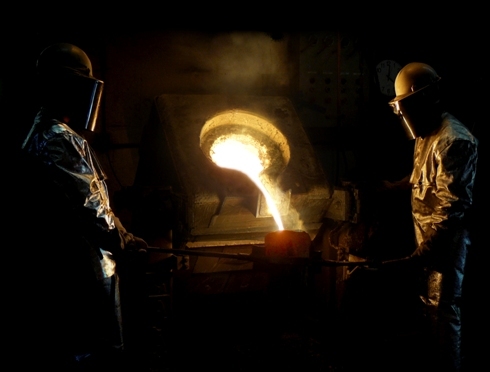 We employ the ancient art of lost wax casting. Our tags are poured using a special yacht grade of stainless steel called duplex 2205 which is 100% corrosion proof and twice as durable as ALL other stainless alloys including 304, 306, 316, etc. After casting, tags are sand blasted then put through a 7 step finishing process to obtain a mirror finish before the final step of engraving. 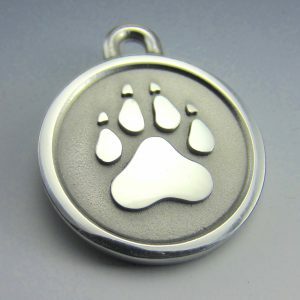 Well designed, durable pet id tags are sorely missing on the market today. 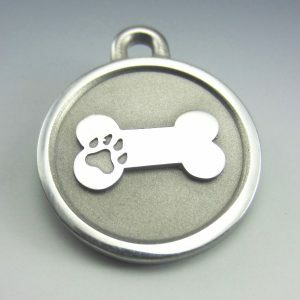 Pet id tags made out of PEWTER, COPPER, NICKEL, ALUMINUM, STERLING SILVER, and BRASSES will not hold up to an active pet’s lifestyle because they are extremely SOFT. 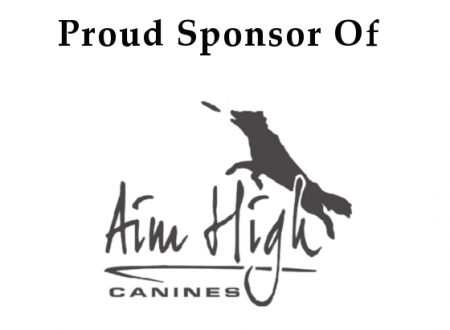 Soft metals wear quickly and loose their engraving. Even stainless steel pet tags that claim to be rust proof and durable are not because of the cheaper, thin grade of stainless steel they are made from. 304, 306, 316 stainless steel alloys are NOT rust proof in salt water. 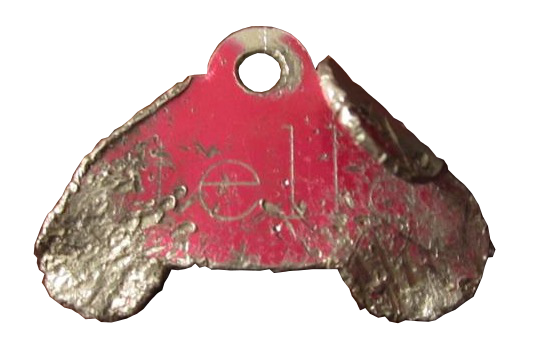 Salt corrodes these industry standard pet id tag metals. Our 2205 stainless steel has outstanding corrosion resistance because of it’s chromium content. It was developed in the 1960’s for the offshore oil industry. You will not find a better tag material. It is outstanding but expensive so tag stampers and overseas manufacturers don’t use it. They don’t tell you what type of stainless steel they use but claim it won’t ever rust. 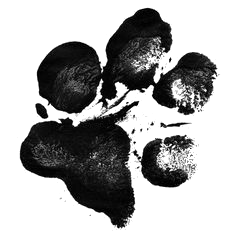 Durable pet id tags are extremely hard to find. 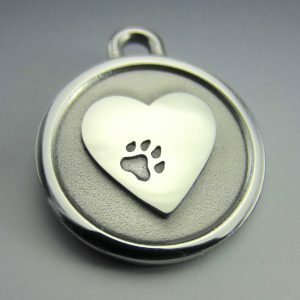 Thick and durable pet id tags made in this country, are impossible to find. 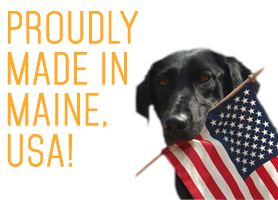 We pride ourselves in offering the most durable pet id tag out there with a lifetime guarantee that exceeds any other in the business made right here in Maine. Change of address or any problem whatsoever with your engraving? No problem…we take the tag back, regrind, polish, and engrave it all over again! Try finding that service anywhere else… WE are 100% committed to our tags and our customers. Our durable pet id tags need durable attachment hardware too! We include both a 316-grade stainless steel split ring and 3/4″ S-hook for a durable pet id tag collar attachment. 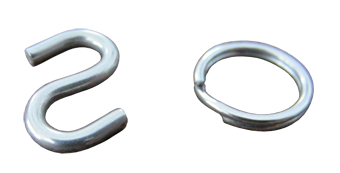 The stainless steel split ring is easiest to attach but not the most durable of the two. If it catches on something while being worn, it may pull open and your durable pet id tag will not be so durable anymore! The stainless steel 3/4″ S-hook is thick, more durable, and harder to put on. However, it will not stretch open like the split ring. You will need a strong pair of hands and pliers to attach the S-hook.